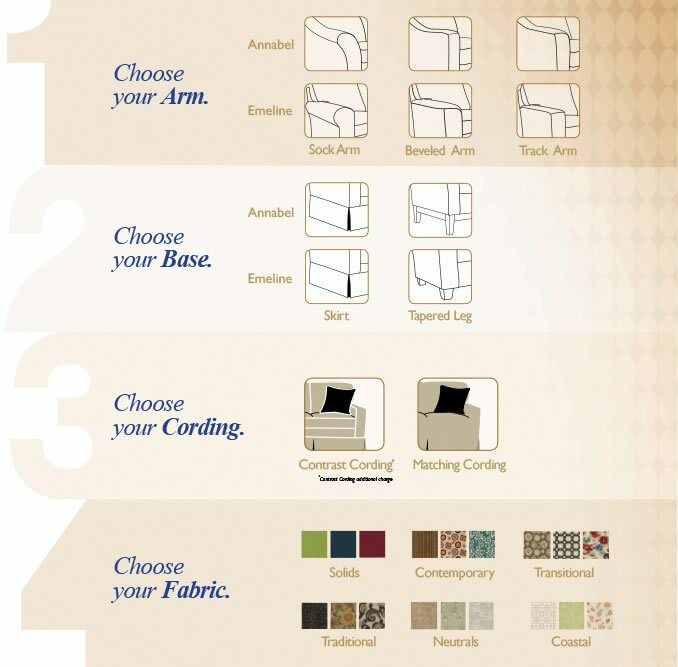 Your style, your home. The Annabel Collection by Best Home Furnishings provides you with the flexibility to design your own custom furniture for a more beautiful home. Sofas, loveseats, and chairs feature semi-attached backs and coil-spring cushions wrapped in a plush high-resiliency polyester fiber overlay. Two pillows are standard in any fabric for sofas and loveseats. Shop Don's Furniture in Lancaster and let us help you design the perfect furniture for your individual style at the very best price. Click the button below to visit the Best Home Furnishings website to see their large selection of beautiful styles and fabrics.